Ahmet Ozlen Guven received his law degree from Istanbul University Law School in 1966. He was renowned for his extensive knowledge and experience, particularly regarding Administrative, Commercial, Tax and Property law. He successfully carried on his career as legal consultant for prominent businessmen and leading key companies engaged in various fields within Turkey. 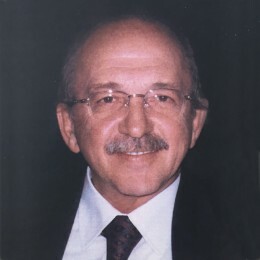 Ahmet Özlen Güven was also a legal counsel for Turkey İş Bank’s Aegean Headquarters for 20 years. He had a reputation of finding creative solutions for major and significant business deals. He was known as a gentleman highly devoted to legal principles. He shared his professional life with our partner and his wife Ayşe Zeren Guven. He is survived by two sons and grandchildren.